The Jawahar Navodaya Vidyalayas (JNVs) Class 9 select list has been released on the official page, navodaya.gov.in. 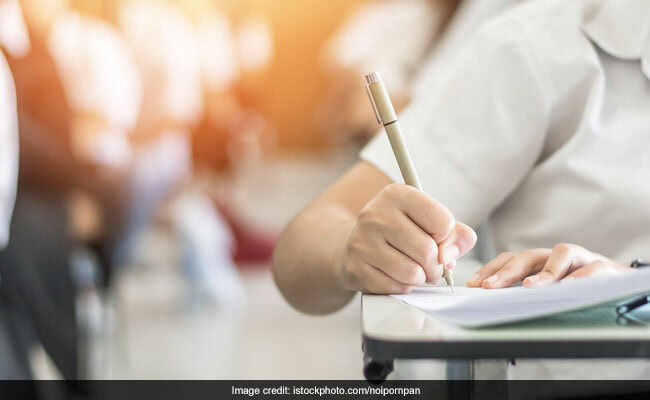 The provisional select list of Class 9 lateral entry selection test 2019 held in Jawahar Navodaya Vidyalayas (JNVs) has been released on the official website. The lateral entry test for admission to class 9 in Jawahar Navodaya Vidyalayas (JNVs) on February 2 and the results result for lateral entry admission to Class IX ( 2019-20) against vacant seats were released on March 30. NVS has released admit cards of the candidates who had registered for the exam in January. Candidates check the Navodaya Vidyalaya select list online at the official website of NVS. The list has also been reproduced here in this story. The select list has been released on the official page, navodaya.gov.in. The selection test for NVS Class 9 admission was comprised of questions from the subjects of Mathematics, General Science, English and Hindi totaling to 100 marks. On the next page open, click on the PDF file link given adjacent to "Provisional Select list of class IX Lateral Entry Selection Test-2019" and check your result from there. Difficulty level of the test paper was of Class VIII standard. This lateral exam was conducted by Central Board of Secondary Education (CBSE) for filling up the vacant seats in Class 9. The question paper was in English/ Hindi and candidates were allowed 3 hours to take the exam. On the other hand, entrance exam for regular admission in JNVs will be held on April 6. As per the norm, JNVs enroll students from class 6 through Jawahar Navodaya Vidyalaya Selection Test (JNVST) 2019. 75% of the seats are filled by candidates from rural areas and one-third of the seats are reserved for girl students. The exam is held every year and last year 28 lakh candidates had appeared for the exam. For Class 11, NVS conducts the admission process in July. According to a recent announcement by the Human Resource Development (HRD) Ministry, a proposal to increase 5,000 seats in Jawahar Navodaya Vidyalayas (JNVs) has been approved 'in-principle' and is at advanced stage of approval.